Mosquito larvae flourishing in water. You want them dead before this stage. If you want to get rid of mosquitoes then you need to have Mosquito Bits and Mosquito Dunks around the house. As you know, mosquitoes need water to grow. Mosquitoes lay their eggs in water that is stagnant, shallow and full of organic matter. Mosquito Dunks are designed to prevent mosquito larvae before they hatch by placing them in standing water (they float). Mosquito Dunks release the larvacide slowly. On the other hand, Mosquito Bits are used to kill mosquito larvae after they’ve formed as the larvacide is released immediately, and are best used in shallow water or muddy areas. I’ll tell you everything you need to know for your backyard mosquito control. First, you need to understand your enemy. Once you understand how mosquitoes grow you’ll be better equipped to solve your mosquito problems around the home when they occur. You want to take preventative action around the yard. The last thing you want is a mosquito infestation. A few of the products we review in this article. Mosquito Dunks and Mosquito Bits are fantastic products to control and prevent mosquitoes from taking a foothold in your yard. But first, lets talk about mosquitoes and how they grow. Don’t skip this part. Mosquitoes have a Four-stage life cycle that occurs in the water and it takes between 4 to 14 days to complete. The stages are : Egg > Larva > Pupa > Adult. Water must remain stagnant for at least 4 days to allow the full mosquito life cycle to occur. If you can eliminate these stagnant pools of water then you will, in essence, eliminate the problem but as you know, it’s not possible to control the outdoors to that degree. 4 stages of a mosquito. Mosquito control is the answer. Maybe one day science will find a way to kill every mosquito on the earth, but for now, we’re stuck with these stupid little insects. I’ll discuss mosquito prevention at the end of this article but for now let’s focus on eliminating those mosquitoes from your yard. Mosquitoes are on of the few pests in the world that people unanimously hate and want to eradicate. If it’s any comfort, we’re all in this fight together. I absolutely detest mosquitoes. They can ruin your outdoor fun in an instant, as they’ve done to me countless times. Thankfully there are many products for mosquito control. Eggs: Can be laid one at a time or attached together to form “rafts.” The eggs float on the water’s surface. Some species, like, Culex and Culiseta, the eggs are bound together in rafts of up to 200. Adult: Once the adult emerges it rests on the surface of the water to dry and harden all of its body parts. It can only fly when the wings properly spread out and dry. For such a small pest mosquitoes really get around. *Download the full infographic or view it from the European Disease Prevention and Control. Mosquitoes aren’t just annoying because they cause itchy bites. They spread disease. Mosquitoes are a global problem. Mosquitoes infect over 700 million people annually in Africa, South America, Central America, Mexico, Russia, and Asia. Over one million people die every year as a result of those infections. View the infographic from the blog of Bill Gates showing just how deadly mosquitoes are. You’ll be surprised. I promise. Mosquitoes are disease vectors, which essentially means they can transmit a pathogen or parasite from an infected person (or animal) to another. There are over 3,000 species of mosquitoes and their behavior and breeding habits do vary. Only three primary species are responsible for the spread of human diseases. The three species of disease carrying mosquitoes. Culex mosquitoes spread encephalitis, filariasis, and the West Nile fever. Aedes mosquitoes carry dengue fever, yellow fever, West Nile fever, chikungunya, and eastern equine encephalitis, along with many other, less notable diseases. Anopheles mosquitoes are the only species that carries malaria, but they also transmit filariasis (elephantiasis) and encephalitis. Stagnant water is the breeding ground for mosquitoes. Mosquito Dunks are designed to float in water and slowly release the larvae killing chemical Bacillus thuringiensis subspecies israelensis (Bti) into the water. When the larvae hatch they will begin eating the chemical (Bti) and die before they ever get a chance to transform into a mosquito. NOTE: “Floodwater” mosquitoes such as the Aedes vexans are a unique species that lay their eggs in moist soil (not standing water). Their eggs need to dry out before they can hatch. They hatch when the rains saturate the ground and water levels rise. Clever, aren’t they? If you want to know more about mosquitoes then visit the links below. I don’t want write a scientific article on mosquitoes here but I think it’s important to know the basic facts as I feel knowledge will empower you to choose the correct mosquito control solutions. If you want to stop mosquitoes from infesting your yard then you have to kill them before they reach the adult stage. Mosquito Dunks and Mosquito Bits are designed to do exactly that — kill mosquitoes before they get airborne. This article will also focus on other forms of mosquito control such as, mosquito foggers, electric bug zappers, protective tents and more. Mosquito Bits and Dunks : Safe for the environment, people and pets. Mosquito Bits and Mosquito Dunks are made by Summit Chemical Company which was founded in 1959. They’re currently located in Baltimore City Proper. All of these products are made in the USA. The key ingredient to the potency and effectiveness of these mosquito control product was the discovery of Bti (Bacillus thurengiensis subspecies israeliensis). Bti is an impressive chemical because it specifically targets mosquito larvae and kills them before they emerge into a full grown adult. Bti produces toxins that target a variety of species which includes: mosquitoes, fungus gnats, and blackflies. Bti has almost zero influence or effect on other organisms which makes it safe to use in any application, especially around the home. Mosquito Bits and Mosquito Dunks are perfectly safe to use around your yard. They pose no risk to the environment, your pets or kids. Initially these products were sold only to mosquito control specialists but Summit decided to create a brand of products specifically for homeowners when they started getting requests from them. These products really do work to kill mosquitoes and they will enable you to enjoy your backyard again. Here’s my list of the best products to help you get rid of mosquitoes and/or control mosquitoes. I hope you find this article helpful. Comes in 3 sizes: 30, 60 or 90 oz. Kills mosquitoes before they hatch. If you read the start of this article you understand that mosquitoes develop and grow in wet, marshy, swampy, stagnant water. Mosquito Bits are designed to instantly release Bti into the area they’re sprinkled and quickly kill all of the larvae in the area. The products is composed of corn cob granules coated in Bti (Bacillus thurengiensis subspecies israeliensis). Each granule is considered a ‘bit’ and that’s how the name “Mosquito Bits” originated — just in case you were wondering. dissolve in the water, mosquito larvae eat the Bits which contain Bti and die within 24 hours. Mosquito Bits are best suited for grassy or marshy areas where the surface of the water is uneven and shallow, or in places where the mosquito population is incredibly dense and you need to quickly kill them in a concentrated area. For areas with an unobstructed water surface Mosquito Dunks are best. Mosquito Bits don’t last very long but will turn water black with larvae and prevent future mosquitoes from ever gaining a foothold. Larvae will be killed within 24 hours. Summit (the manufacturer) recommends that you use Mosquito Dunks one week after using Mosquito Bits for long term mosquito control, or continue to add Mosquito Bits bi-weekly. This is important to remember. Remember, Mosquito Bits are engineered to quickly kill mosquito larvae while Mosquito Dunks are slowly released into the water. Mosquito Bits are better suited for shallow standing water and Mosquito Dunks are ideal for deeper water like an ornamental backyard ponds, water troughs, koi ponds, birdbaths, rain barrels or any place where water collects and remains. If there’s stagnant water, mosquitoes can grow and multiply. The Mosquito Bits can also be use in plant beds or pots to control fungus gnats. All you have to do is sprinkle them on the soil or mixed the Mosquito Bits with potting soil before planting. This method will kill the fungus gnat larvae with the same safety and efficiency as mosquito larvae. The Mosquito Bits are quite versatile and extremely effective at controlling the mosquito population where you live. Yes, it requires that you take the initiative to explore your yard and garden, searching for potential mosquito breeding grounds but what’s the alternative? You need to be on top of the situation and be proactive. Later we’ll discuss mosquito foggers but Mosquito Bits are safer to use as they only target mosquito and fungus gnat larvae. If you have an infestation of mosquitoes then a mosquito fogger is the only way to eradicate mosquitoes over a large areas. It’s important to choose the right solution to your problem. Mosquito Bits and Mosquito Dunks are for prevention. I suggest you use these products to prevent an infestation — especially if you live in an area that’s prone to the build-up of stagnant water. View or download the LABEL for Mosquito Bits. View or download the MATERIAL SAFETY DATA SHEET for Mosquito Bits. Apply to obstacles such as: Old automobile tires, flower pots, unused swimming pools, bird baths, roof gutters, water garden, tree holes, rain barrels, animal watering troughs. Directions: Sprinkle 1 teaspoon per 25 square feet or 1 tablespoon per 75 square feet (1/2 lb – per 2178 square feet) over the surface of the standing water around the home. Environmentally safe biological mosquito control. Quickly kills mosquitoes (within 24 hours). Sprinkle in any standing water. Three sizes: 30, 60 and 90 ounces. Chemical-based mosquito killers are not target specific, and as a result, they kill all types of insects, including good insects, such as honey bees. Also, studies have show that insects develop a resistance to chemical insecticides, and over time they become less effective. Mosquitoes do not develop a resistance to Bti which means that Mosquito Bits and Mosquito Dunks maintain their effectiveness year after year. The 20 pack is far more economical. Mosquito Dunks are a longer-lasting form of Bti (Bacillus thurengiensis subspecies israeliensis). All you do is place a ‘Dunk’ in standing water and it will control mosquito larvae for up to 30 days. A single Dunk will treat up to 100 square feet of surface water at any depth. Basically, Mosquito Dunks have a working mechanism that you can classify as timed-released or sustained-release. Many vitamins and medications use this mechanism. The active ingredient, Bti, is gradually released into the water rather then being instantly released, like Mosquito Bits. Bti is a natural mosquito larvicide, which kills mosquito larvae but it’s completely harmless to birds, fish, wildlife, and pets. I know that it’s hard to believe but this truly is an impressive product because it works so well, and you get consistent results. It’s rare to find a pest control product that’s so safe to use and specifically only targets one single organism. Mosquito Dunks float. Simply place a Dunk in any standing water to control mosquito larvae for up to 30 days. One Dunk treats up to 100 square feet of surface water regardless of depth. Will control mosquito larvae for up to 30 days. Mosquito Dunks float on water and it’s highly recommended that you use them in water areas where they can float freely. In all other instances you should use Mosquito Bits instead. If you have a major infestation then you should combine the two in the water area. Better to be safe than sorry. Mosquito Dunks are approved for Organic Production and Gardening, under the National Organic Program guidelines. Mosquito Dunks are also safe for use around birds, wildlife, children and pets. The EPA has registered Mosquito Dunks for use in animal watering troughs and fish habitats. Read the official EPA document. Unused, dry Mosquito Dunks never lose their potency if stored in a cool well-ventilated location. However, if you store them for more than 24 consecutive hours in an area where the temperatures are above 100 degrees Fahrenheit the efficacy of the product may be adversely affected. One of the most popular and effective means of mosquito control. If you’re a pet owner or you have children you’re probably worried about your kids ingesting this product but you don’t have to worry. Even if your dog eats an entire Mosquito Dunk, this will not adversely affect your dog. This sounds odd, but if your dog did eat one it would essentially get a large dose of protein and calcium. Dunks are approved to be safely used in watering troughs for livestock. If you own a farm you should definitely have Mosquito Dunks around. Read the FAQ document to learn all the details. For small areas of water, you can break them into smaller chunks. Or you can crumble up the Dunks according to your needs. Perfect for: Koi Ponds, Hydroponic systems, animal watering troughs, rain barrels, birdbaths, stock tanks, planter saucers, wheelbarrows, garbage cans and covers, Fountains, snow melt pools, flooded basements or any other areas of standing water. View or download the FAQ (Frequently Asked Questions) for Mosquito Dunks. View or download the LABEL for Mosquito Dunks. View or download the MATERIAL SAFETY DATA SHEET for Mosquito Dunks. View or download the ORIGINAL PRESS RELEASE for Mosquito Dunks. Reduces the number of adult mosquitoes developing. Kills mosquito larvae that may be carrying heartworm disease to dogs and cats. Up to 7 weeks between applications. This product is the exact same as the larger sized Mosquito Bits product except it comes in an 8 ounce shaker bottle. Each bottle covers up to 2178 square feet. If you have a need for a lot of Mosquito Bits this will save you a lot of money. This 20 lb bucket of Mosquito Bits is a big money saver if you find yourself using a lot of the product. You’ll save over 35% by purchasing it in bulk. Otherwise, it’s the same product. UV zapper lamp attracts & entraps flies, mosquitoes & other flying insects. Mosquitoes are more than a nuisance in our world and can wreak havoc in your life if they gain a foothold and are allowed to breed continuously. The last thing you want is a mosquito infestation in your backyard. Thankfully you have many options to combat and get rid of mosquitoes. Mosquito Bits and Mosquito Dunks are two of the best mosquito control products on the market because they contain a larvacide called Bti which selectively kills mosquito larvae before they grow into adults. If you’re vigilant about prevention then Bits and Dunks are the ideal starting point for controlling mosquitoes. Another important step you can take is called ‘source reduction,’ which just means that you eliminate potential mosquito breeding grounds before any egg laying occurs. As a homeowner this should be your starting point to prevent mosquito proliferation in your yard. Remove old tires, buckets, empty flower pots and plastic. Fix leaks around faucets so water doesn’t accumulate. Clear clogged gutters. Drain muddy or swampy areas. 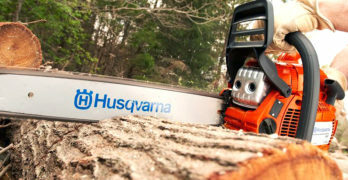 Remove water from tree stumps. Change the water in your bird bath. These are a few examples of what you can do, but it’s up to you to access your environment and eradicate the sources of stagnant water. Make it an adventure. Make it a priority. Spend the time to walk around your yard and remove water collecting objects before mosquitoes discover them. The elimination of these breeding ground is the first step. Mosquito Bits and Mosquito Dunks are an integral part of your solution. If there are muddy areas after a rainfall then use Mosquito Bits and sprinkle them in the area. If you own a pond then place Mosquito Dunks in it and replace it regularly. I can’t stress the importance of prevention enough. Don’t wait until it’s too late. Besides these recommendations, there are other mosquito control solutions that you might be interested in learning about. It’s good to know your options so you can cater the solution to your specific needs. Perfect for killing mosquitoes in a wide area before pool parties and BBQs. Mosquito foggers are an excellent means to combat and kill mosquitoes over a large area. Read our comprehensive review on mosquito foggers that covers this Burgess 1443 propane fogger and many more. I’ll refrain from repeating myself here, but insect foggers are an excellent tool that allows you to gain the upper hand in the control of mosquitoes in your yard. It dispenses a 10-foot cone of orderless fog to instantly eradicate the area of mosquitoes and flies. A propane fogger such as this is a great solution when mosquitoes have already multiplied but it doesn’t penetrate water and kill larvae like Mosquito Bits do. Overall, this Burgess model is an excellent propane fogger for homeowners which also comes in a electric version. Use Black Flag insecticide with this Burgess fogger. Also, you’ll need a Standard Propane Fuel Cylinder to power the mosquito fogger. Perfect for: Clearing large areas of mosquitoes and flies before your backyard social events, such as: backyard picnics, barbeques, outdoor parties, pool parties, and other special events. Same model except it’s electric. 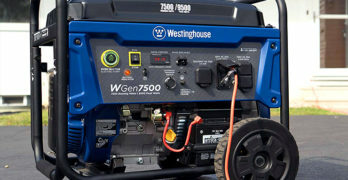 The Burgess 960 is the electric version but it operates the same as the propane model, except you’ll have to use an extension cord. 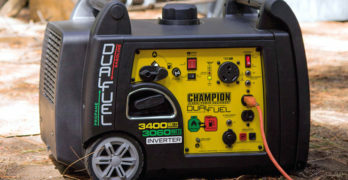 Yes, you’ll have to manage an extension cord, which can be annoying, but you’ll save money because you won’t have to use propane canisters as you do with the Burgess 1443. View or download the MANUAL for the Burgess 1443 propane mosquito fogger. View or download the MANUAL for the Burgess 960 Electric mosquito fogger. Ideal for immediately clearing large areas of mosquitoes and flies around home or camp. Convenient and portable. Use in isolated areas when an electric fogger can’t be used. Perfect for camping. Instantly kills mosquitoes and flies. Up to six hours of mosquito control. The ideal time to fog is around dusk, when the wind levels are lower and the ground level temperatures are a little higher than the air above ground-level. This temperature dynamic will keep the fog in the fogged area for an extended period of time. This is how you use nature to optimize fogging and increase its effectiveness. Do not fog when the wind is blowing more than 5 mph. Wind will blow the fog away before its had a chance to kill mosquitoes. Never use wet fog on your plants, shrubs or outdoor rugs, etc. The oily residue could have long-lasting and damaging effects. When working, keep your fogger more than 5 feet away from the treatment area and allow the fog to drift where in the preferred area. With this method, non-vaporized particles of insecticide will settle to the ground. Make sure the breeze is at your back when using the fogger. 100 sq. feet of protection and shade. Sometimes you just need protection from mosquitoes, and the elements, like the sun. This is a fantastic Coleman tent designed to keep you comfortable no matter where you are. The great thing about this Coleman Screen House is how easy it is to set up. You can have it set up in less than 60 seconds so it’s a great product to have around. You can use this tent in a variety of places, like: your own backyard, camping, outdoor concerts or events, pool parties or the beach. Watch this video of the Coleman Screen House. It’s an excellent tent that does exactly what it was designed to do. Watch this video that shows you how to set up the Coleman Screen House. Some customers struggle with setting this tent up but I bet most of them don’t read the instructions that comes with it. Either way, watch the video and read the instructions. 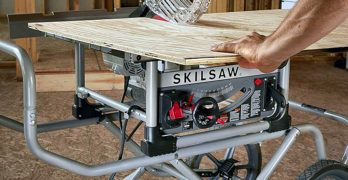 Coleman has been in business for over 100 years so they know how to make quality products. It’s a simple product but it will protect your from mosquitoes and other insects. It won’t kill mosquitoes but when you find yourself in circumstances that you can’t control this Coleman Screen House will save you. Creates a 10′ X 10′ protective area. Sets up in under 60 seconds. Quick instant shelter patented Coleman frame design. 7 foot center clearance height. Comes with an accessory screen which protects from mosquitoes and other insects. Two zippered doors for easy entry and exit. Provides 100 sq. feet of shade. Easy to use Coleman push button release levers. Protects against the sun. Provides 50+ ultraviolet protection. Comes with a carry bag with wheels. Secure and stable with footed poles and Coleman tent pegs. Certified testing on the Coleman UVGuard Fabric for ultraviolet ray protection. Protection Factor (UPF) and Sun Protection Factor (SPF) are similar: UPF is for fabrics and measures UVA and UVB rays while SPF is used only for lotions applied to the skin. A bug zapper is a device designed to attract insects by a light source to an electrical grid with a high voltage running through them. They are instantly electrocuted when they touch two wires. They are more formally called: Electrical discharge insect control system. 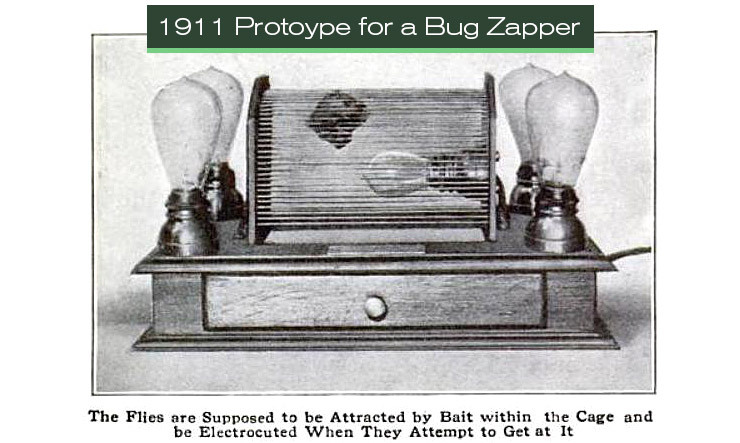 The very first bug zapper was patented in 1934 by William F. Folmer and Harrison L. Chapin but in 1911 two men from Denver designed a prototype model for a device they referred to as a fly trap that incorporated all the same features of our modern day bug zappers. At the time, it was determined that their fly trap would be too expensive to manufacture. Proof that humans have been trying to kill mosquitoes and other insects for a long time. I’m sure since the beginning of time humans have been trying to control insects — and with all of our advances we’re still trying. Let’s look at some electric bug zappers. One piece of advice that you should heed is to keep your electric bug zapper away from your outdoor dining area. When bugs get zapped and electrocuted their little body parts do disperse around the bug zapper. You probably won’t see it because the particles are so small but it happens. Just keep it at least 8 feet away from your food preparation area or dining space. Vertical Rod killing grid system. The Flowtron BK-80D is the largest of the Flowtron electric bug zappers. This model will keep you protected from mosquitoes and other flying insects within a 1.5 acre range. Flowtron also makes a 1 acre (BK-40D) and .5 acre (BK-15D) model (see details below). These models of insect bug zappers are extremely popular because they work well, and do what they’re supposed to do — attract bugs and then kill them instantly so you don’t have to worry about them. Flowtron has been in business since the 1920’s and in in 1974, they started their Outdoor Products Division and their electric bug zappers were born. They’ve been perfecting their technology for over 35 years so you have every reason to have confidence in the quality of the Flowtron electric bug zapper. When finding the right spot for this insect zapper is to place it about 25 feet away from where you expect people to be. Remember, you want to attract bugs away from people and kill them at a distance. Also, you want to place this away from the food preparation area or dining area. If you want to be able to program your bug zapper then you’ll be interested in this model: Flowtron 14044 Bug Zapper (with Programmable Photocell/Timer). Outdoor Use Only. Effective, environmentally friendly, and maintenance free. If you want to kill a lot of mosquitoes the you need to get the octenol mosquito attractant cartridges also referred to as mushroom alcohol. Scientists have identified octenol as a chemical in human breath and sweat that mosquitoes are attracted to. These Octenol cartridges trick mosquitoes on believing they’ve located a human, then they get ZAPPED! Who gets the last laugh. If you want to kill mosquitoes you’ll need these. These Flowtron bug zappers are maintenance free. The technology is relatively simple; containing a UV light and an electrified grid that kills thousands of insects for pennies a day. It can also be used for security lighting. The only negative to this bug zapper is the electrical cord is short so you’ll need an extension cord. I mean really short, not just a little short. It’s a minor quibble since the product is excellent, but it’s something you should know about. Two 40-watt, high-intensity, “U” shaped, ultraviolet (black light) bulbs BF-150. Includes USDA-tested Octenol mosquito attractant slow release cartridge. Avoids the continuing expense and inconvenience of chemical insecticides. 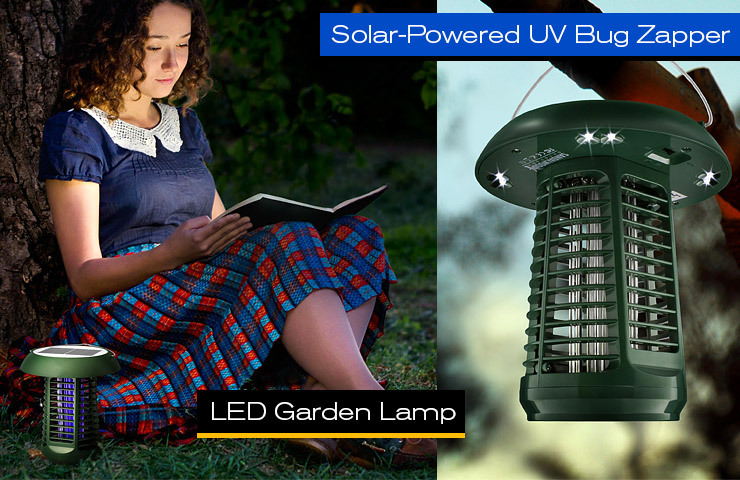 Versatile and attractive bug zapper and garden light. The Sandalwood NK63 is a versatile bug zapper than be charged either via the sun or the included charger. It’s been designed to charge itself during the day so when night falls and the bugs come out it will illuminate automatically and work through the night. It’s a very low maintenance bug zapper that stands out from the others because it’s solar powered. Yes, you have the option of using the charger when necessary, for example, if you place the NK63 bug zapper in a covered area but more than likely you’ll be able to rely on its solar power to continuously keep the bug zapper in operation. Designed with a high performing polycrystalline silicon solar panel. During the day it soaks up the sun’s rays and stores them as energy for night time operation. The rechargeable lithium battery is integrated into the bug zapper, which also enables direct charging with the included wall charger. When fully charged the Sandalwood NK63 bug zapper can kill bugs for 15 hours and as a lamp it can illuminate continuously for 30 hours. Versatile. Use anywhere. Works as a lamp or bug killer. This bug zapper is perfect for your walkway or garden, so you and your family can enjoy your yard at night without having to worry about being attacked by bugs. It also doubles as a lantern with its 8 LEDs. It automatically shuts off during daytime with the use of its built-in sensors. Installation Options: Use the garden stake (included) to stick it into your lawn; hang it on the balcony (comes with a hanging string); or placing it on any flat surface. How does it work? The Sandalwood NK63 attracts insects by emitting an optimal 365 nanometer wavelength — which happens to be the wavelength that insects are attracted to. Well, that’s what the scientists say. Easy to clean the dead bugs via the tray at the bottom of the device. 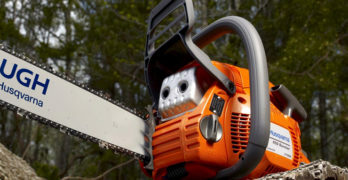 Overall, the Sandalwood NK63 is a great bug zapper that kills bugs within an area of 3000 sq. feet. So, the next time you have a pool party or backyard BBQ consider having one or more of these bug zappers around the yard and protect your family and friends from being stung by bugs. They’ll love you even more for your thoughtfulness and their sting-free evening. The drawback to this Sandalwood model is that you can’t use it during the day, or in an area that’s well lit because the sensors determine when it’s on based on the light it receives. So, if you have a brightly lit patio then this bug zapper will automatically turn off, which doesn’t make sense to me. They should’ve included an override switch for customers who want to use it in daylight. Attracts and kills mosquitoes + other flying insects. Runs for 15 hours as an insect killer and 30 hours as a lamp. 8 Bright LEDs allow it to be used as a lantern in your garden, patio or walkway. Easy to clean by removing the bug tray at the base of the zapper. Built-in Solar Panel can also power your bug zapper. Charger included. Works best at killing mosquitoes within a range of up to 3000 sq. feet. 6V/170 mA polycrystalline silicon solar panel. Features a NØsquito Octenol Lure. The Stinger bug zapper (BKC90) lantern is a portable, cordless and rechargeable bug zapper. It uses a 2 watt UV Black light to attract bugs. This technology is about 40% more effective than white UV light with an octenol lure, for attracting insects…at least according to the manufacturer. Whether that’s true or not is another story. The Flowtron bug zappers are extremely effective and they use white UV light with ocetenol lures. Every manufacture tries to sell their technology as the “best” but in reality you can achieve similar results with different technology. Be wary when listening to ‘marketing talk.’ I included there data here to inform you, no to persuade. My job is to give you the facts so you can make the best decision. 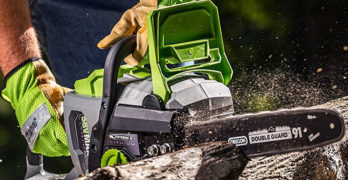 Every mosquito control product in this article —and every product throughout Chainsaw Journal — are tried, tested and proven to be reliable and well-made as indicated by their reputation and the ultimate test — time. How does a product hold up over time. Only the accumulated experiences of customers can answer that. I pick the best products for my readers so you don’t have to waste time researching and searching for information. My job is to save you time to make the best decision. Kills insects within a 625 sq. ft. radius. This Stinger bug zapper can also be used as a functional lantern as it has bright white LED’s. This effect is ideal for accent lighting at night. Once fully charged it can continue to run for approximately 3.5 hours. You an also run it indefinitely while plugged into a socket. NOTE: You can’t use the bug zapper when it’s charging. 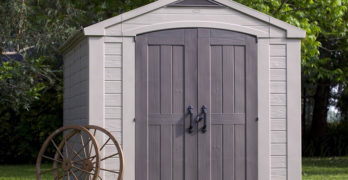 Designed for both indoor and outdoor use. It covers an area of up to 625 sq. ft. — equivalent to a 25′ x 25′ deck or patio space. Two negatives to consider are that the light on the Stinger bug zapper isn’t that bright so its harder to attract bugs and the battery charge isn’t particularly long (3.5 hours). Overall, customers are happy with this Stinger bug zapper and because it’s rechargeable you can easily move it from inside to outside or take it with you wherever you go. Replacement bulb (2 pack) for the BKC90 bug zapper. Covers an area of 625 sq. ft.
Can be used as a lantern only. Double the functionality. Fully charged battery lasts 3.5 hours. Built-in ring for carrying or hanging. Includes: 1 NOsquito octenol lure. Operates on a single butane cartridge. The ThermaCELL mosquito repellent is a unique product that allows you to easily protective yourself from mosquitoes no matter where you go or what you do. It’s ultra-portable, light and incredibly effective. In 1999 it was patented by The Schawbel Corporation (now Thermacell Repellents, Inc). It has been thoroughly tested and proven to work under extreme conditions by the U.S. Department of Defense. How does ThermaCELL technology work? powered by a single butane cartridge. Butane provides the cordless, portable heat that activates the patented devices. The heat generated by the butane cartridge is directed to a metal grill that is part of the design of the Lantern or Appliance. A small mat, saturated with repellent, sits on top of the metal grill. Heat vaporizes the repellent, allowing it to rise into the air. The repellent is allethrin, a copy of a repellent that naturally occurs in chrysanthemum flowers. It repels mosquitoes, black flies, and no-see-ums, and will not harm humans or pets. The main difference between these lanterns is the number of LEDs. ThermaCELL also makes an effective line of lanterns. 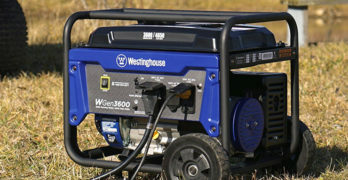 Depending on your needs, this is another option that works using the same technology as the portable non-lantern device. These lanterns will protect you within a 15′ x 15′ area against mosquitoes and other bugs. Bottom line: ThermaCell mosquito control is proven to protect within a certain radius, depending on the device. The portable model is an excellent mosquito repellent that works effectively and its small form factor and portability makes this your perfect personal companion regardless of where you go. On the other hand, if you also need a lantern and want mosquito and insect protection then going with a lantern might be a good solution for you. Again, determine what your needs are and choose accordingly. Protect yourself in the great outdoors. None of these devices will prevent the growth of mosquitoes in your yard, but it’s important to have a range of options to choose from. Mosquito Bits and Mosquito Dunks are what I recommend to enable you to prevent and control mosquitoes from growing and multiplying. ThermaCELL products are great protection when you’re in the great outdoors, but be proactive around the home and follow the guidelines I lay out for mosquito control at the end of this article. Thermacell works remarkably well against black flies. Creates a 15 x 15-foot zone of bug-free comfort. Learn more on the ThermaCELL site. No scented lotions, sprays, or oils. Operates on a single butane cartridge (included). Includes: 1 reusable Mosquito Repellent Appliance, 1 Butane Cartridge (lasts up to 12 hours), 3 insect repellent mats (each lasts up to 4 hours). ThermaCELL Mosquito Repellent Refills sold separately. Includes: 4 butane cartridges and 12 repellent patches. Completely natural. One application lasts 4 to 6 weeks. Mosquito Barrier is a completely natural mosquito repellent that’s comprised of a very potent liquid garlic made from, you guessed it — potent garlic cloves. The garlic used is special. It’s a powerful variety far more concentrated than the garlic you buy in the grocery store. Garlic naturally has sulfur which happens to repel mosquitoes. Our ancestors have been spraying garlic to keep insects away and controlled for a very long time. This isn’t a new discovery. Mosquitoes are soft-bodied insects and because of that, the liquid garlic is toxic to their biology when sprayed in a concentrate form, like Mosquito Barrier. The garlic juice is completely safe for adults, plants, children and pets. As for mosquitoes, this formulation is toxic and deadly. The garlic odor keeps them away for as long as the smell lingers. Don’t worry, your lawn won’t smell like garlic. Within minutes of spraying, the odor is undetectable by humans. Mosquitoes are far more sensitive and can detect the scent as much as 10,000 times better than a human. Basically, Mosquito Barrier keeps mosquitoes away as long as the garlic formulation is active. One application will last 3 to 4 weeks. Again, this isn’t a permanent solution to mosquito control in the same way that Mosquito Bits and Mosquito Dunks are. I’ve filled this article with a lot of information and product options for you so you can see what’s available, and all of these products are excellent. Prevention is the key and if you’re only going to commit to one product then it has to be either Mosquito Bits or Mosquito Dunks, but in all honesty, since they work together in synergistic manner, I suggest you purchase both and use them as designed — to kill those pesky, stupid little mosquitoes at the larvae stage. That should be your focus. Everything other product, other than Mosquito Bits and Dunks, are band-aids that protect you in the short-term but do very little to prevent the problem from getting worse. Learn more at the Mosquito Barrier site. The Aspectek bug zapper is made for the indoors. It uses two 10 watt UV lights so it’s fairly bright. Simple to use. Either stand it on a flat surface or hang it on the wall and let it kill all the bugs around the house, including mosquitoes and fruit flies. Since it’s indoors you’ll be happy to know that it’s very quiet and won’t disrupt you, although you will hear the zap when a bug is killed. Customer satisfaction is extremely high with this Aspectek bug zapper. Aspectek is a Canadian company headquartered in my home city, Vancouver, BC. Aspectek is focused on the R&D and manufacturing of environmental consumer electronic products. They’re products are centered on ‘pest control’ and ‘power products. This is the best indoor bug zapper you’ll find. I know a lot of people like to bring outdoor bug zappers indoors but I don’t recommend doing so. This model has an easy to clean bug tray and it’s design is perfect for indoor use. I’ve read a lot of people complaining about the loud “ZAP!” sound it makes when a bug is killed but that’s unavoidable. Sorry, but you can’t have everything. The act of killing an insect via electrocution will always make a sound. I wish people would stop complaining things that cannot be changed. The sun is hot, fire burns and bug zappers make a sound when they kill a bug. Accept it. Some things will never change. Two 10w UV lights effectively attract insects. Instantly kills flies, mosquitoes and other flying insects. Covers up to 6,000 square feet (557 sq. meters). Easy to wash collection tray. You have some degree of control over some areas of stagnant water around your home. There are instances where the water can either be drained or removed as in the case of a birdbath where you can change the water. It’s important that you remain vigilant about maintaining your environment around the home as to prevent mosquitoes from ever multiplying. It’s true, you can’t eradicate mosquitoes completely but you can control the population and reduce it so that they remain insignificant. Remove unused objects, garbage and anything that has the potential to collect stagnant water, such as: automobile tires, old flower pots, etc. Turn over things such as toddler pools, recycling bins, wheelbarrows and kayaks..
Clean and chlorinate your swimming pool, outdoor saunas or hot tub. Keep it cover when you’re not using them. Fine mesh or screens should be used to cover your rainwater barrels. Drain water that collects on pool covers, weekly. Change the water in anything that collects water, such as wading pools, bird baths and pet water dishes. Don’t wash grass clippings or leaves down roadside catch basins. Regularly turn your compost over. Make sure your roof gutters are clean and don’t clog. A backyard pond has to watched diligently and properly maintained. If you have a pond in your backyard then you need to follow some basic rules. There are several factors that will make your pond unsuitable for mosquito breeding, such as a good design, proper construction and regular maintenance. Also, choosing the right location, proper drainage, wind and properly adjusting water levels. If you’re at the early stages of planning your pond then make sure you construct the base of the pond with a non-porous material like stone or concrete. If you use a porous material then the base of the pond will collect organic matter providing a rich breeding ground for mosquitoes. Clear the are around your pool of excess vegetation as they will supply organic matter around your pond area. As I mentioned at the beginning of the article, organic matter is food for mosquito larvae. Mosquitoes can’t grow in a puddle on clean concrete because there’s not food for them to feed off. Mosquito larvae tend to prefer shallow water so add a steep slope at least 60cm in length. This will minimize the breeding potential of mosquitoes. Build your pond in an open area where wind will blow over the surface. Wind or water currents won’t survive when the elements are constantly disturbing the water surface and mosquitoes are far less likely to lay their eggs if it’s not a sheltered area. Stillness is a key factor to the development of mosquitoes. Keep the area around the pond well-manicured and free of tall, heavy vegetation as they will provide a wind barrier. You should definitely add a pond aerator or a fountain to keep water moving and discouraging mosquitoes from laying their eggs. Add fish that eat mosquitoes as they will feed on the larvae. Common goldfish, killifish, and guppies are perfect. Contrary to popular wisdom koi fish aren’t a good choice because they’re too large to feed on the mosquito larvae. You’d be silly not to be using these mosquito control products. After all of this what’s the conclusion? Well, there’s no shortage of products to help you deal with mosquitoes after they’ve already hatched and grown into adults but I hope you take my advice and use Mosquito Bits and Mosquito Dunks to help you prevent mosquitoes. Take the responsibility and make sure that all potential breeding grounds are removed immediately. Don’t wait until you have an infestation to take action. The time is now to keep your backyard safe from mosquitoes. We’re lucky to be living in a day and age where safe and effective products such as Mosquito Bits and Mosquito Dunks are available to the general public. If our ancestors had access to these tools I’m certain they’d think they were gifts from the gods. The fact that Mosquito Bits and Mosquito Dunks are natural and safe is an important distinction from other products. Not to mention that Mosquito Bits and dunks are the only products on the market that have Bti means there’s no competition. There’s nothing more annoying than lounging in your backyard or having a party only to have it ruined by mosquitoes and other flying insects. Now that you know that you can prevent these moments from ever happening should give you a sense of power and encouragement to take a walk around your property and find areas that need to be cleaned up, as well as pinpointing areas to sprinkle Mosquito Bits where the ground is marshy, muddy or areas where the ground is drenched. I don’t know what more I can say to motivate you to use Mosquito Bits and Mosquito Dunks. At the very least, stock some in your garage and experiment with them so you can see for yourself the effectiveness they offer you. Test them first and then make up your own mind about these products. Mosquito Bits and Mosquito Dunks will allow you the freedom to enjoy your backyard all year round. Your family and friends will love you even more, and don’t be surprised if they want to borrow your Mosquito Bits for their own backyard.